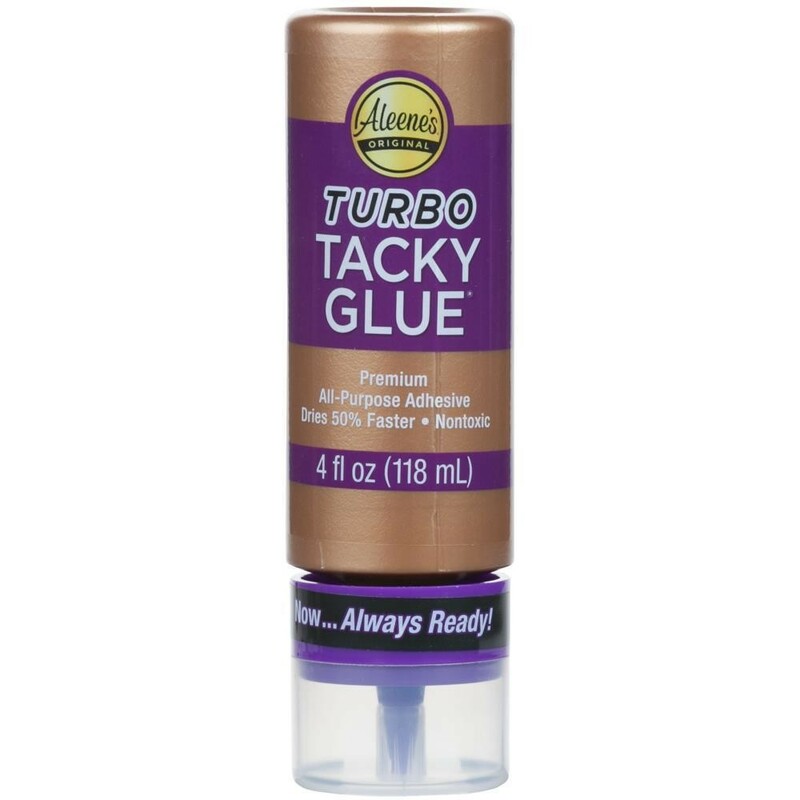 Aleene's Always Ready Turbo Tacky Glue. Your go-to glue when you need a tough glue that can get the job done fast! This glue dries up to 50% faster while featuring more resin for a superior bond that still dries clear, flexible and acid-free. The nontoxic, no run formula is low odor and safe for use on most craft surfaces. The new, innovative cap allows you to store the bottle inverted at all times, providing quick and easy adhesive flow. This package contains one 4oz bottle of turbo tacky glue.